The American Civil Liberties Union of Montana (ACLU-MT) is looking for a motivated person with relationship building skills to join our team as an Indigenous Justice Organizer. The ACLU-MT works on a variety of issues that impact Indigenous people – from voting rights, to education, to reforming unjust criminal laws. Over the past two years, we have worked to build Indigenous Justice into every aspect of our organization through building relationships with Indigenous leaders and community members and prioritizing issues identified by Indigenous communities. We are now ready to expand the program by hiring an additional staff member committed to Indigenous Justice. This position is guaranteed for two years (summer 2018 through summer 2020), and we will seek additional funding to continue the position past 2020. The Indigenous Justice Organizer will work in the Advocacy and Policy Department with the Director of Advocacy and Policy (Missoula), the Indigenous Justice Program Manager (Missoula/Hi-Line), and the Policy Assistant (Helena). The position will also work in collaboration with other staff and ACLU-MT volunteers. This position will ideally be based in Billings or on the Crow or Northern Cheyenne reservations, though we are open to a discussion depending on the best candidate. Frequent travel statewide will be required. Applications are being accepted for two vacancies on the Superior Court in Maricopa County created by the retirement of Judges Aimee L. Anderson and Peter C. Reinstein. The Maricopa County Commission on Trial Court Appointments will review applications, interview selected applicants, and recommend at least three nominees for each vacancy to Governor Doug Ducey, who will appoint the new judges. The most current judicial application form (revised January 2017) can be downloaded at the Judicial Department website: www.azcourts.gov/jnc. 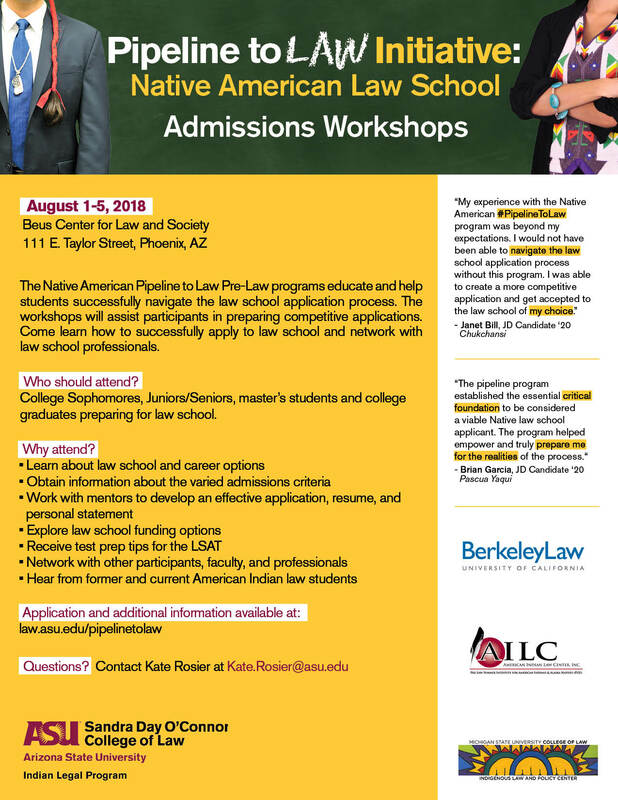 Applications may also be obtained from the Administrative Office of the Courts, Human Resources Department, 1501 W. Washington, Suite 221, Phoenix, by calling (602) 452-3311, or by sending an electronic mail request to jnc@courts.az.gov. Applicants must be at least 30 years of age, of good moral character, admitted to the practice of law in, and a resident of Arizona for the past five years, and a resident of Maricopa County for the past year. A signed original application with all attachments, and a searchable .pdf version of the application and attachments must be submitted to the Administrative Office of the Courts, Human Resources Department, 1501 W. Washington, Suite 221, Phoenix, AZ, 85007, by 3:00 p.m. on May 31, 2018. Applicants for the recent vacancy in Maricopa County DO NOT need to reapply to be considered for the new vacancies. The Commission may, at its discretion, use the applications filed for these vacancies to nominate candidates for any additional vacancies known to the Commission before the screening meeting for these vacancies is held. All meetings of the Maricopa County Commission on Trial Court Appointments are open to the public. Meeting dates will be announced. The new judges will be paid $149,382.60 annually.